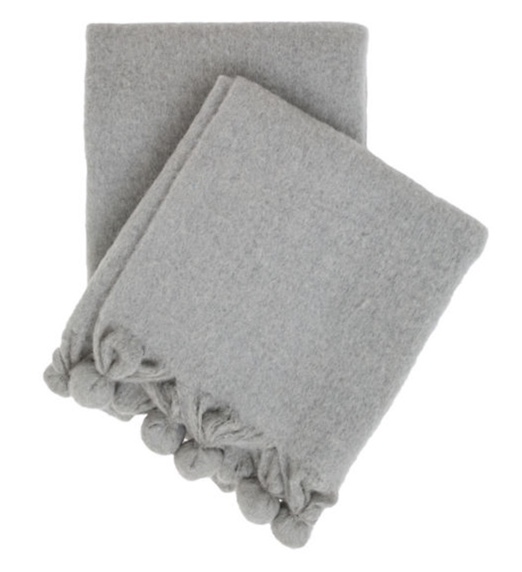 The Pom Pom Grey Throw is super soft and airy with just a touch of whimsy with the pom pom fringe. It comes in four luscious pale hues. 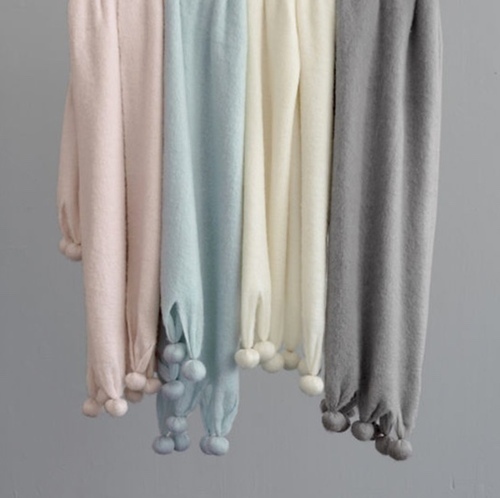 Large pom pom ball fringe on length ends. Pom poms have a polyfil core to maintain shape. Crafted by artisans committed to fair-labor practices.